Wondering what all the fuss is about when it comes to PRP, or platelet rich plasma? PRP, is a great cosmetic injectable treatment for naturally rejuvenating the skin and repairing the signs of ageing. The treatment involves reinjecting your own platelet rich plasma into your skin, delivering an abundance of growth factors that stimulate the body’s normal healing response, helping you to achieve total rejuvenation. PRP stimulates collagen and elastin production which thickens and tightens thinning skin, effectively smoothing wrinkles and fine lines. Because it boosts collagen, it’s also a great treatment for improving overall skin texture and tone. It’s particularly good for people who suffer from rosacea or acne. PRP is extremely effective for treating difficult to treat areas, such as the delicate under eye area where clients often notice signs of ageing first but where no laser can be used. PRP uses your own natural elements without the addition of any foreign products. The treatment works by drawing a small sample of your blood, which is then spun in a centrifuge for approximately five minutes to separate the plasma from the other blood particles. The platelet rich plasma is then reinjected back into the treatment area to stimulate collagen and elastin production. Because it uses your own natural elements, PRP is very safe. It’s also not a new treatment. It’s long been recognised and used in the hospital system and in sports medicine for its effective wound healing properties since the 1970s. 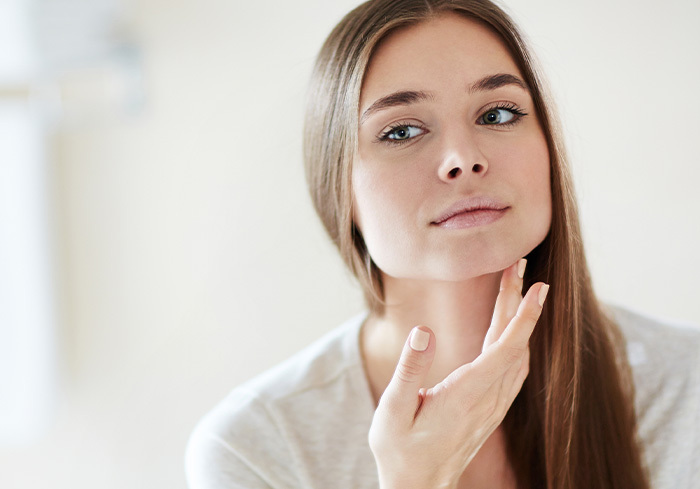 Results from PRP take between three to four weeks to appear but are long-lasting, typically lasting 12 to 18 months after an initial series of three treatments. Book a consultation with our masters today to learn more about PRP and how we can help you master the artistry of you™.